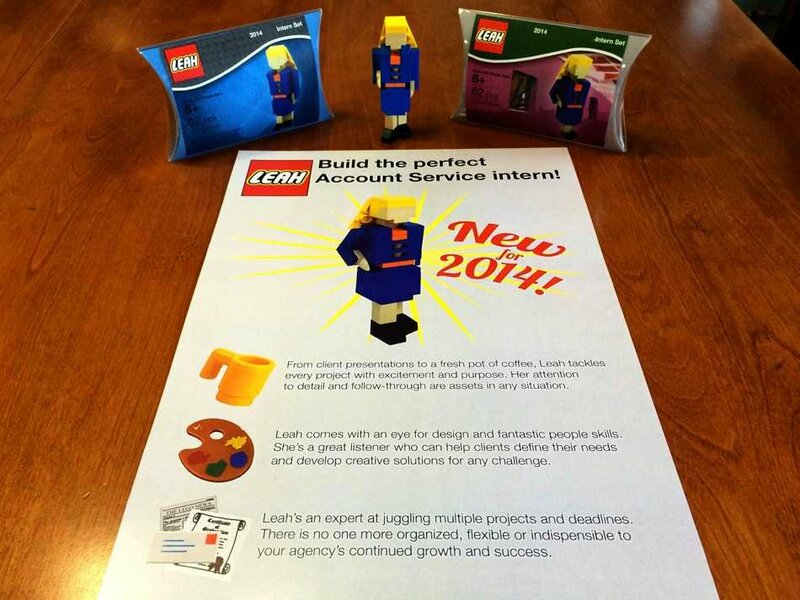 These custom designed Lego sets serve as a resume for Northwestern junior Leah Bowman. She initially used them to apply to a competitive internship program. When summer internship applications asked Communication junior Leah Bowman to think outside the box, she made her own. During Spring Break, Bowman made a 62-piece Lego model of herself, using Lego Digital Designer, multiple third-party programs and her dad’s immense Lego collection. The package is complete with a custom-made box and an instruction manual, which she sent to an ad agency as her summer internship application. “I had a really clear vision of what I wanted to do, and then it was really easy for me to act on it,” she said. However, Bowman said it didn’t start receiving much attention until after she decided to post a picture of her resume on Reddit. The resume received national media attention just days after Bowman uploaded it. Since she posted the resume on March 24, its exposure has created additional opportunities for Bowman. Many organizations have contacted her via LinkedIn and email including The Ginger People, which is a company that produces ginger, and a Silicon Valley startup. Bowman said she first came up with the idea when an internship application instructed her to write a persuasive essay using herself as a product. Coming from a family of Lego enthusiasts, Bowman said making her Lego doppelganger was an easy decision. Scott Bowman, her father and a self-proclaimed “AFOL,” short for “adult fan of Legos,” said he got the family hooked on the building bricks at a young age. Scott Bowman, who like the toys is of Danish descent, said he has been a fan of the miniature construction toys since childhood. The 54-year-old pours about $1,000 annually into his basement Lego collection, which is organized into drawers by color and shape. His best-known work is a 75,000-piece replica of the Science Center of Iowa, which he said he worked on almost every night for two months. Scott Bowman said he and his daughter had been using Legos since she was young, and he was proud of the product she created. Correction: A previous version of this story misstated Scott Bowman’s heritage. He is of Danish descent but did not grow up in Denmark. The Daily regrets the error.